This site is dedicated to the study of classical Chinese furniture (style and construction). It gives a general but diverse view of the types of classical style Chinese furniture and its variations. All the pieces shown here are made by Kiam Yoong. 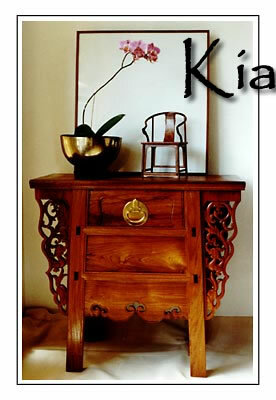 Kiam has since created pieces that would be considered as being of excellent standard as that produced during the Golden Age (Ming and early Qing Dynasties) of classical Chinese hardwood furniture. He has gained recognition demonstrated through commissions, news reviews and major awards.